Isn't She Lovely is a photograph by Trina Ansel which was uploaded on September 2nd, 2018. 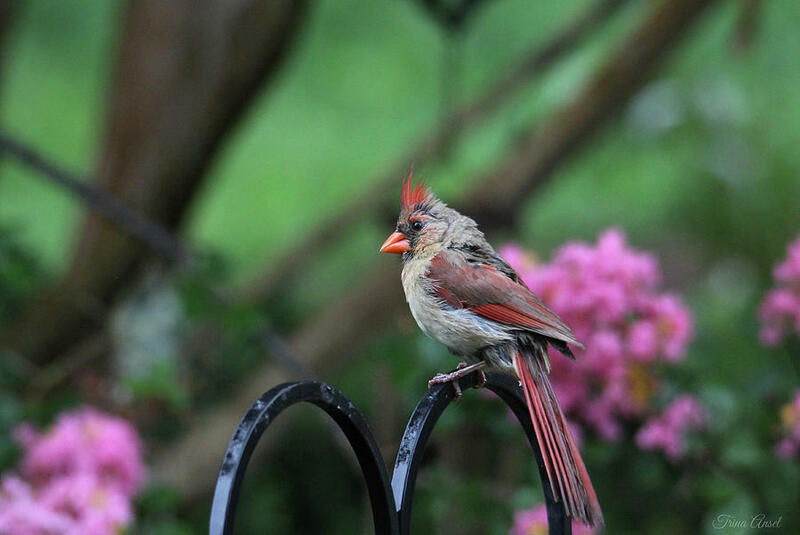 A lovely female Northern Cardinal sitting on top of the bird feeder stand on a rainy summer day, waiting for her turn to eat. Thank you so much, Karen! I appreciate it! Thank you so much, Bill and Deb! I really appreciate it! Thank you, Don, for the feature in the group "A Birding Group-Wings." I appreciate it! 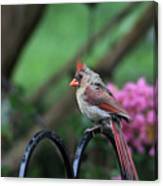 Thank you, Randy, for the compliment and feature in the group "Wisconsin Flowers and Scenery." I really appreciate it! 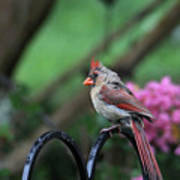 Thank you, Anita, for the compliment and feature in the group "Poetic Poultry." I appreciate it!